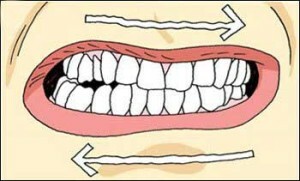 Bruxism, or teeth grinding, is a condition in which a person grinds out their teeth while in sleep mostly. This is a very nasty disorder because it wore out the enamel of your teeth by continues grinding and can become a cause for various types of pains, like those of jaws, headaches or neck. If the condition is left untreated, it can become one of the most painful oral disorder to bear. 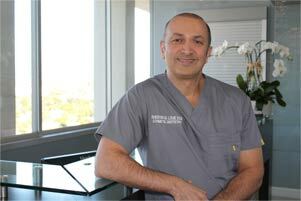 Therefore, in this article, we will enlighten ourselves by the expert advice of Dr. Shervin Louie, the famous dentist in Los Angeles, who is a well-known authority in the States on various dental/oral issues. But to begin, let us first understand what Bruxism really is in-depth. What Is Bruxism & Its Behavior? Bruxism is identified as a condition of teeth grinding which usually occurs in sleep. The person, while asleep, keep on grinding without even realizing this. Mostly the spouses or other sleeping partners are the first one to notice this behavior. So far the scientific community is unable to give a concrete answer as to why Bruxism occurs in some people, but as of now, there have been some theories to its emergence. One of the most recognized and believed hypothesis is this: Bruxism develops due to a combination of several factors of malfunctioning occurs from, and within, the central nervous system, drug addiction, smoking, alcohol consumption, sleep arousal patterns, neuropsychological disturbance, and genetically inheritances. If you notice any pain in jaws, head muscle tenderness, teeth wearing, morning headaches, jaw muscle swelling, and or tongue indentation, you should at once seek help from a professional dentist in Los Angeles, such as Dr. Shervin Louie as you are surely suffering from bruxism. It is very unfortunate to say that still in the year 2016, medical science has failed to found any direct cure for Bruxism to eliminate this disorder completely. However, there is certainty in one thing though that while we don’t have a cure for it, but a dental science has found means to at least minimize its effects on your jaws, teeth and the complete muscles in the oral environment. The process of assessment and treatments to do are only obtainable via professional dentist in Los Angeles, like Dr. Shervin Louie himself, who is an expert on the assessment and treatment of Bruxism. As of now, “Mouth guards” are mainly used to treat teeth grinding disorder as well as some additional medicines. Whatever be the best for your condition, make sure you only get the advice and treatment for Bruxism with a professional and certified dentist.